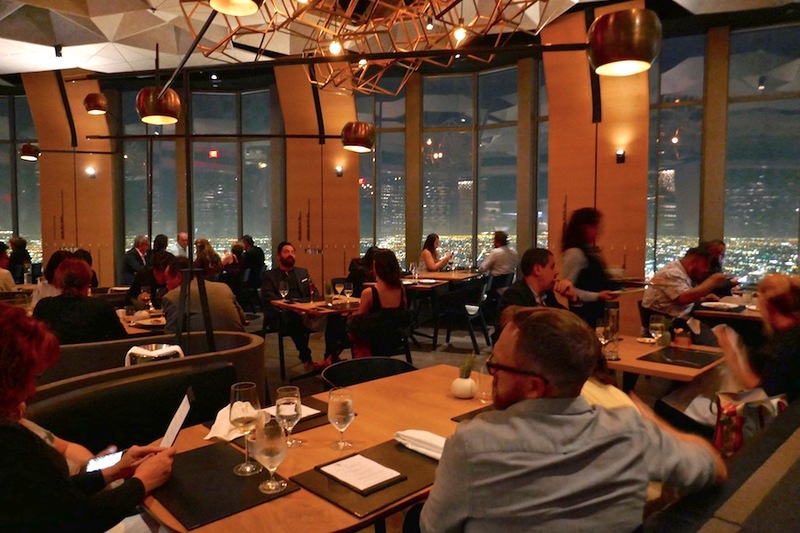 The restaurant 71 Above in downtown Los Angeles is a great spot to celebrate a special occasion. There are sweeping city views paired with a well-done 3-course tasting menu. I've been wanting to check out 71 Above in downtown Los Angeles since it opened last year. I've also been wanting to visit the new Broad museum, which happens to be just around the corner from the Broad, so the stars finally aligned to take both in this past weekend. Both places are pretty hard to get into. The Broad has been opened for two years now and is still a tough ticket to get, and I'm not even to talking about the hugely popular special exhibit, The Infinity Mirrors. You just need to set an alarm for the beginning of the month and go online and hope for the best. 71 Above has an interesting ticket system with different reservations for different tables with different prices. The closer to the window, the harder and more expensive the seat. I lucked into a last minute cancellation and was able to reserve 24-hours in advance through Open Table. Our table was just across from the window, still with a great view. There's a decent size bar and lounge area where you can enjoy drinks and some pretty downtown Los Angeles lights. The cocktail offerings are all named after LA neighborhoods like the Venice with hibiscus-infused gin, kombucha cinnamon-pear and capertif and the West Hollywood with vodka, apple brandy, lemon, lillet blanc, and apple-cinnamon cordial. There's also a nice wines by the glass list with selections that range from $14 - 35 per glass. When you dine at 71 Above, you'll be eating a 3-course tasting menu, currently priced at $75 with an optional wine pairing of $45. There are six options under each of the 3-courses. You're also treated to an amuse bouche or two before you dig into the main menu. We started with a velvety mushroom soup shooter and a pickled shishito pepper - a yin and yang starter to awaken the taste buds. My friend started with what looked like a beautiful egg perfectly perched in the middle of an earthenware bowl. When she broke the egg and began swirling as instructed (click on the video above to see it in action), warm colors emerged from the smoky chorizo, cilantro cream, and crispy potato. This might be the best brunch item you're ever going to eat for dinner, or at any time of day. I had two beautiful oysters presented on a bed of rocks. The oysters were poached with a sprinkling of uni and caviar, tarragon, and champagne. Simply wonderful. I don't see sweetbreads nearly enough on menus in Los Angeles. Paris, yes, the US, not so much. So I jumped at the chance to order sweetbreads. They arrived covered with a glass, keeping fresh smoke inside. A quick lift took me to the woods and a bite was crisp on the outside and tender inside. A side of potatoes, lemon, rhubarb, dill and pickled raisin balanced the flavors well. 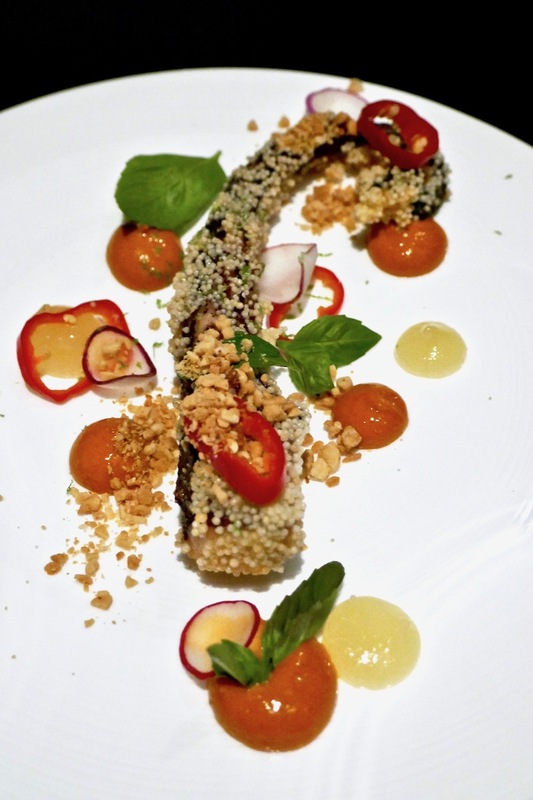 Octopus was coated in Korean chile paste and served with a unique peanut, basil, yuzu sauce. I do like my octopus and hadn't seen this exact preparation before. The peanut sauce added a unique dimension. We did a surf and turf combo as our main. There were sweet, buttery, diver scallops with a bed of corn, chanterelle sauce, topped with seaweed and pancetta. The ribeye steak came out as a medium rare strip with several side sauces. There was an onion cream, tomato jam and mojo rojo served with baby leeks, pine nut and currants. Both dishes were super satisfying with the scallops a little sweeter and the steak more savory - a great balance. Dessert is extra at $14 each. We tried a truly unique sweet potato custard. It was topped with a crispy granola, pumpkin vinaigrette, and black pepper fluff. 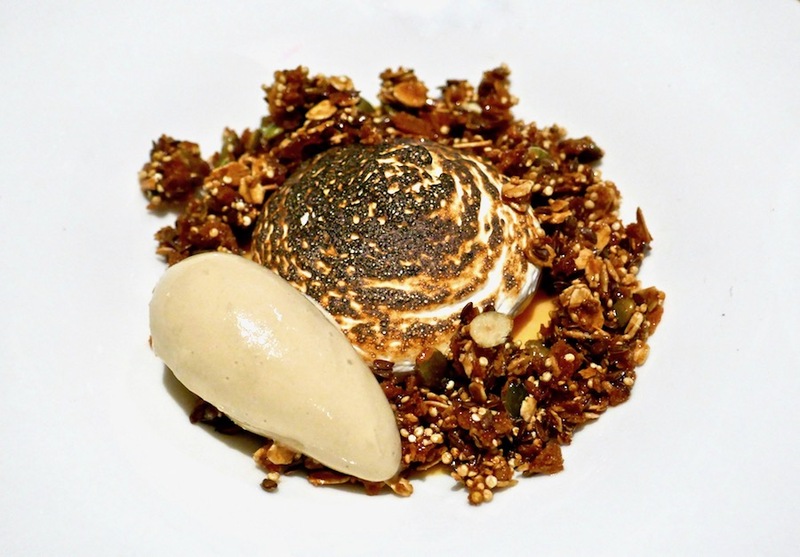 A burnt cinnamon ice cream made it the perfect fall dessert. 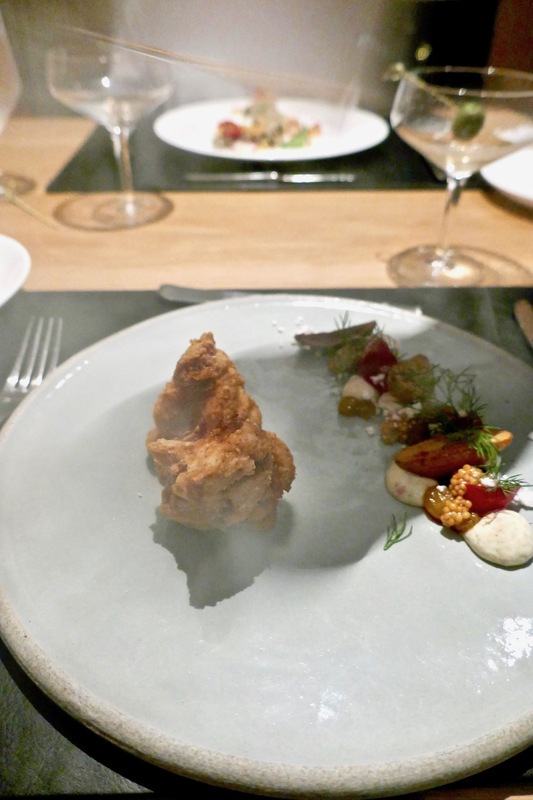 All of the dishes at 71 Above were truly delicious. There were unique combinations and just overall great taste throughout. Usually a restaurant with great views phones in the menu, but not at 71 Above. You get wonderful ambiance with a fabulous meal. Go. Looking for other Downtown LA Restaurants?